Health care costs are rising significantly, greatly impacting the price you and your employer pay for your health benefits. takes its responsibility to provide you with quality, affordable benefits seriously. You, too, must think carefully about how you use those benefits. 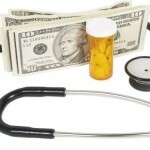 Managing your personal health care expenses is one way you can help to keep costs down. The role you play in managing health care costs is simple: Spend your health care dollars wisely. Each time you go to a medical provider or receive medical services you generate a claim that must be paid for through your employee health benefits. Essentially, the costs of your claims, and all your coworkers’ claims, determine the price you and your employer pay for your health benefits. In the end, decisions you make directly affect the year-to-year increases in your health benefits cost.